Professor Gregor Kennedy is an educationalist with research interests in educational technology research and development, particularly in the context of higher education. He holds a PhD in psychology from the University of Melbourne. 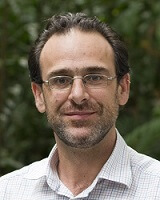 In 2011 he was appointed the inaugural Director of eLearning at the University of Melbourne.